Four bodies have been retrieved from a galamsey pit at Pentransa in the Asante Akyem Central Municipality in the Ashanti Region. The illegal mining pit collapsed on Sunday night killing small-scale miners who were within its belly at the time. 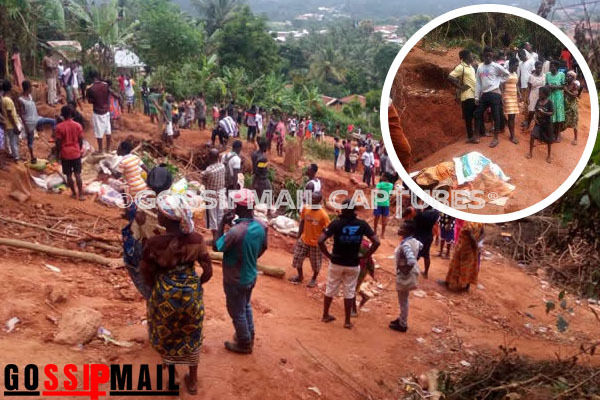 It is not clear how many more people have been trapped in the pit but local journalist Akua Adepa Agyemang said that residents claim they saw between 11 and 15 men entering the pit. On Monday morning, personnel from the Ghana National Fire Service, Ghana Police Service, National Disaster Management Organisation (NADMO) and the military, were at the site to restore order.